The market for electric/hybrid-electric vehicles is currently experiencing strong and sustained growth. To bring innovative and holistic solutions to this market, including autonomous driving, connectivity and related infrastructure, DowDuPont Specialty Products Division is launching AHEAD™ – a new initiative designed to bring customers solutions and material capabilities from across the new DuPont. 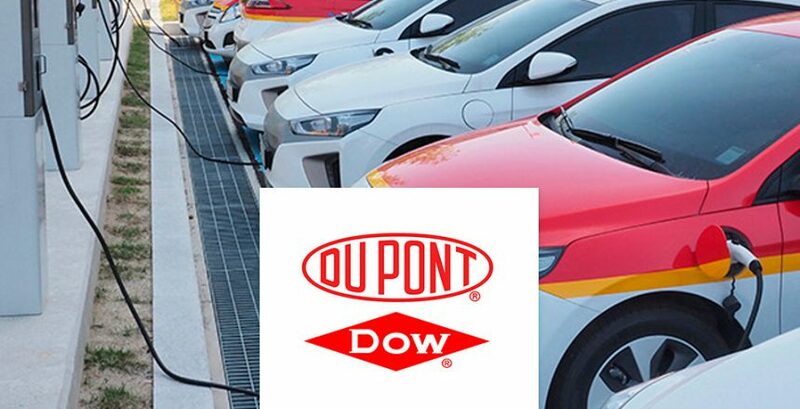 “The creation of a dedicated team and offering targeting vehicle electrification, autonomy and connectivity makes sense for DuPont. It reinforces our history in transportation (100+ years), our experience, expertise and broad differentiated portfolio of technology and solutions,” said Randy Stone, business president, DuPont Transportation & Advanced Polymers. The drive toward vehicle electrification, autonomous capabilities and associated infrastructure is creating a highly promising market opportunity. AHEAD™ (Accelerating Hybrid-Electric Autonomous Driving) is a new initiative made possible through DuPont’s experience and expertise in materials science and electronics that offer clear advantages for vehicle electrification and autonomous vehicle markets. Lightweighting. Safety. Thermal management. Durability. Reliability. AHEAD™ delivers excellent solutions now and has the global R&D reach and expertise to innovate for the future.